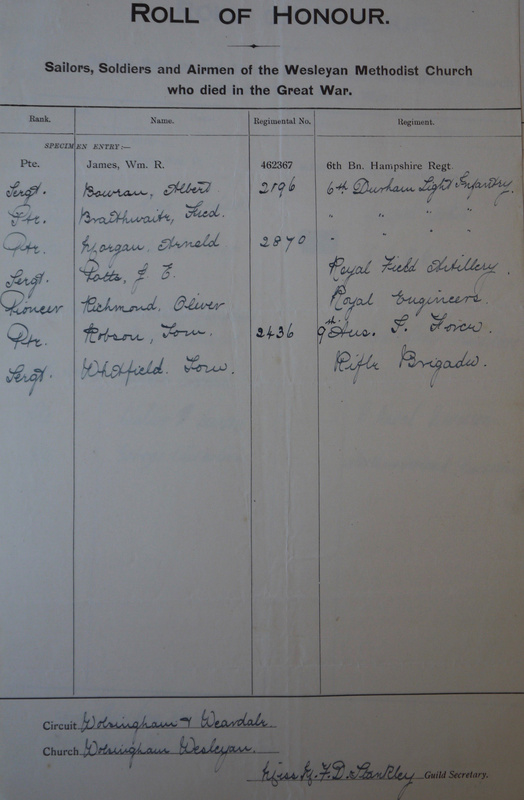 Of the fifty-two casualties listed on the local war memorial seven were Wesleyans. Private Thomas Robson was one of many Weardale men who had emigrated. 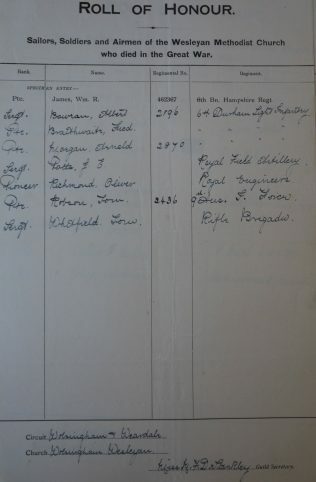 This record is incorrect as to his service number and regiment, but it is correct in his connection with Methodism. He died on 30 March 1919, and is buried in Smithfield Methodist Cemetery, near Sydney, N.S.W.